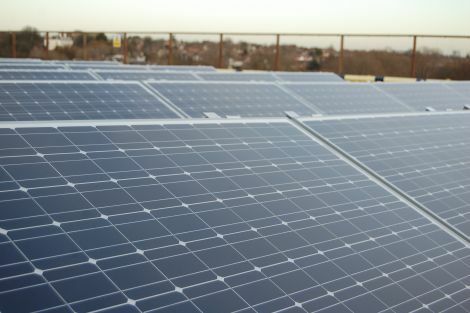 A significant reduction of their carbon footprint, the generation of an income through the feed in tariff and savings on electricity bills – which had reached £30,000 last year – were the three main reasons that made David Blackshaw – Blackshaws Garage‘s Managing Director – decide to invest in solar energy and install photovoltaic solar panels on the roof of his company, which has been working in Alnwick since 1919. It is estimated that this solar panels installation will help the family-owned garage to save about £2,500 on electricity bills this year, and also will reduce their carbon footprint, stopping emissions by about 12 tonnes in the process. In adittion, Blackshaw Garage will see an average annual return on investment of 22.5 percent. Grays Shopping Centre, in Essex, has definitely done its bit for the society and also for the environment. A 200 solar panels project was installed last week, covering a space of 15,000 sq ft on the roof of the building. When operating, the solar array will produce around 45,000 kWh’s per year, saving about 600 tonnes of CO2 during the life of the project.